First of all, we need to know that what is WP Login URL. It is the web address of the login page to access your website from the backend. The WordPress login page is your entrance gate to access your WordPress dashboard. Or we can say that if you want to edit/change anything on your website, you have to login to your dashboard. 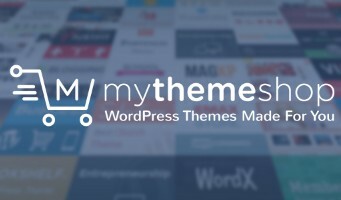 Then only you will get access to manage WordPress website and its dashboard. You can create a new page, a new post or change any setting of your WordPress site after that. Now, without any delay let’s discussion, how you can Find WordPress Admin Login URL of your blog or website. Since you are looking for the WP Login URL, I am assuming that you own a WordPress website. Or you have just installed a WordPress site with a hosting provider like Bluehost or Godaddy. By default WordPress Login URL is your domain name with /wp-admin/ or /wp-login/ in the end. You can also use ONLY /admin/ or /login/ at the end of your domain to access WordPress login page. You will see a WordPress login page (as shown in below picture) when you open any of the URLs mentioned above. Hence, you get a clear cut idea about WordPress Admin Login URL and you do not to find WordPress Login URL each time. Now, we’ll discuss few other cases, where you need to change the URL a bit in order to login into WordPress. 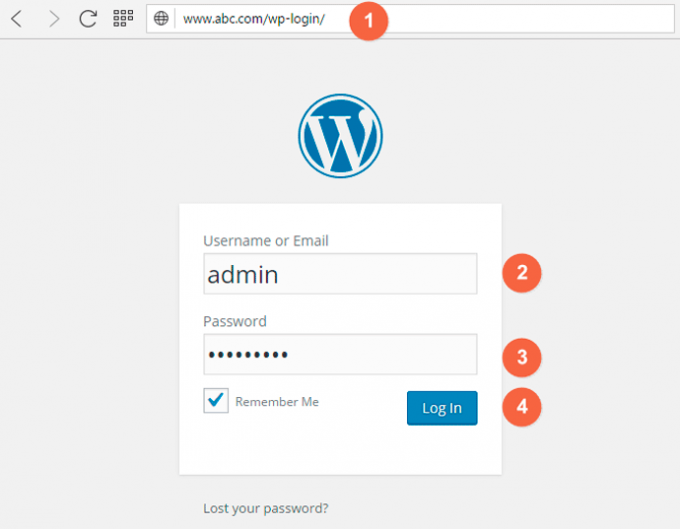 To log in to your WordPress you need to enter your Username or Email and Password on your WP login page. These credentials (username and password) had been created at the time of WordPress installation. Enter your details and click on the Log In button, this will redirect you to your WordPress dashboard. Now you can access any section of the dashboard and can change the settings as per your requirements. If you have installed WordPress into a subdirectory of your hosting, in a separate folder, instead of the root directory. i.e. /wp/. In that case, you need to add subdirectory name between your domain name and /wp-admin/. If you want to build your website’s landing page or homepage different from the blog page. It is advisable to use a static homepage and install WordPress on a subdomain for your blog. Here is how to Login into your WordPress Subdomain. you have to add /wp-admin/ or /wp-login/ at the end of your sub-domain i.e. Enter your WP Login URL and name it as per your choice. Click on the Add to Menu button and place it in the desired position by dragging it. Finally, don’t forget to click on the Save Menu button and you are done. Furthermore, you can also use a WordPress plugin to add a WP Login Form in the widget area of your website by using this plugin Sidebar Login. Install Sidebar Login WordPress plugin and activate it. Consequently, a new widget called Sidebar Login will be added in the widget area and you could use this to add a WordPress Login Form on your website. It will look like the screen shot below. Hope you find this post useful. If you still are not able to Find WordPress Login URL or you are unable to login into your WordPress admin area. Do let me know via comment section below, I will be happy to help you. Glad, you find it useful. Thanks for stopping by. This article provides clear idea to the new people about WordPress Login URL. Thanks for writing this article. Liked it! Great info, I have forwarded it to my students. I’d like to shoot you an e-mail about guest posting. Thank you for sharing this article. It helped me a lot.